In recent years, domestic teams and riders have proven themselves capable of achieving top results against top-class international fields. Last season, Connor Swift’s national road race victory and Harry Tanfield’s stage 1 win in the Tour de Yorkshire were two cases which underlined the strength-in-depth that now exists within the domestic scene. And despite the demise of JLT Condor and One Pro Cycling, the domestic field looks even stronger than ever this season. A tough contract year means that riders that perhaps should have got World Tour contracts (like Connor Swift) were unable to do so. Other riders that might otherwise have stayed in the higher ranks have needed to drop down to the Continental level (such as Scott Thwaites and Daniel Pearson). And others still are yet to find contracts and may well end up in the domestic ranks (think James Shaw or Gabriel Cullaigh). Earlier this month we revealed our U23 riders to watch this season. Here, we introduce nine domestic riders (plus a handful of ‘bonus’ picks) we expect to be on regulars in the results sheets this season. These are all British riders plying their trades with domestic teams. Some of the usual suspects are there, as well as names that might be less familiar. As ever, this list is a subjective take on things; readers will no doubt have their own views on who to watch out for this season. So feel free to add your own picks in the comments section below. Current British road race champion Connor Swift goes into 2019 with a point to prove. The Madison Genesis rider was desperately close to securing a World Tour contract last season with Dimensions Data. But a difficult contract year resulted him settling for another year at Continental level. He’ll have a point to prove in 2019 and has already declared that he will be aiming to perform in UCI races. The Tour de Normandie, Tro Bro Leon and the Rutland-Melton Cicle Classic are all early targets for the 23-year-old. 32-year-old Ian Bibby returns to Madison Genesis after two halcyon seasons at JLT Condor. A consistently strong performer at the domestic level, we’ve often wondered why he’s never reached the Pro Continental or even World Tour ranks. Last season his 6th overall in the Tour de Yorkshire was a highlight. He also scored stage wins in the Tour of Japan, the New Zealand Cycle Classic and the Tour of the Reservoir. We wouldn’t be surprised if he goes even better in 2019. Jacob Hennessy (22) returns to the domestic scene after a year with the Mitchelton-Bike Exchange development team. He first turned our heads with his win in the under-23 Gent Wevelgem race in 2017. 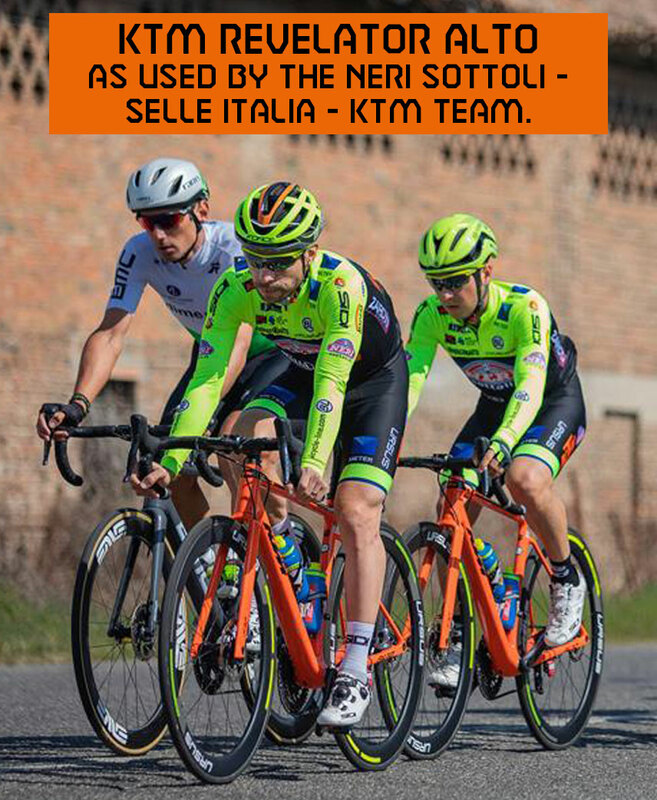 Last season appeared a little quieter on paper, but he nonetheless he acquitted himself well in a race programme focused mainly on the UCI Asia Tour. And his 6th place in the opening stage of the Dubai Tour against some of the best sprinters of the world was another reminder of his promise. He’s a man with a fast sprint and a penchant for crosswinds and cobbles. So he should find himself with plenty of opportunities at his new team, Canyon dhb p/b Bloor Homes, whose race programme will have a strong Belgian flavour. Tom Pidcock (Team Wiggins Le Col) needs little introduction. He’s only 19 but is already one of the biggest names in UK cycling. He is the brightest cyclo-cross prospect in the world right now, but he has also proven himself on the road. He’s a former junior world time trial champion and junior Paris-Roubaix winner. Last year as a first-year under-23 he beat the domestic peloton to win the Klondike Grand Prix and grabbed an impressive 6th place on the queen stage of the Tour of Britain. For this reason, he more than belongs in this list rather than our under-23 one. Cyclocross may still be his key focus, but he’s named the under-23 Paris Roubaix and the Yorkshire world championships as key goals for 2019, so expect to see him hitting the headlines long after the ‘cross season has finished. One of the curiosities of the JLT Condor closure is that riders that may have taken on more of a team role previously will now have more leadership opportunities. One such rider is Alistair Slater, newly signed to Vitus Pro Cycling p/b Brother. Referred to as the ‘professional’s professional’ by the team because of his level-headedness and teamwork-based ethic, he is a strong rider in his own right. He demonstrated this to great effect last season when he won a stage of the Kreiz Breizh Elites and was second on stage 2 of the Tour de Yorkshire. We’re excited to see what he can do in 2019 in a squad where he should have more opportunities to race for himself. Like Tom Pidcock, Ethan Hayter is another under-23 rider that we felt is already accomplished enough to sit comfortably in this senior-level list. Despite focusing on the track for a large part of last season – he has Tokyo 2020 ambitions with the GB pursuit team – he was impressive when he hit the road. He earned himself a stagiaire spot at Team Sky in the second half of the season, and racked up four top-tens in the Tour of Britain while riding for the Great Britain team. Then in the under-23 world championships he backed up a 5th place in the time trial with 8th in the road race. He hasn’t announced a team for 2019, but he’s very likely to be domestically based. He is on the British Cycling podium programme, so a probable scenario is that he combines a track focus with road duties for the Great Britain team. Fast man Jacob Tipper rejoins the domestic scene with Ribble Pro Cycling in 2019, a team he also rode for in 2017. Riding for the Memil CCN Pro Cycling team in 2018, he had his most successful season to date, scoring stage victories in the Tour de Maroc (UCI 2.2) and the Tour of Qinghai Lake (2.HC). He’s part of the successful Huub Wattbike track team but the road will be his key focus this season. It will be fascinating to see if he can build on his strong 2018 road season and add further UCI race wins to his palmares. 2018 Tour de Normandie winner Tom Stewart is another rider who is unlucky not to have reached the World Tour or Pro Continental ranks so far in his career. He so nearly made it in 2017 with One Pro Cycling but they had to step down to Continental level after they lost their bike sponsor. Winning the savage Tour de Normandie last season was a big result, backing up previous road successes such as his 2017 Velothon Wales (1.2) win and his 6th overall in the Dubai Tour (2.HC) the same year. Riding for Canyon dhb p/b Bloor Homes this season, he should find himself in the mix for UCI race results once again. Scott Thwaites (right) signing his new contract with Vitus Pro Cycling p/b Brother. We had to hastily revise our ‘domestic riders to watch’ list when Vitus Pro Cycling p/b Brother announced the surprise signing of Scott Thwaites earlier this month. Thwaites is a rider with his roots in the domestic scene – he’s a previous Premier Calendar winner – but has since firmly proven his World Tour credentials, particularly in the classics. 10th in Strade Bianche, 16th in the Tour of Flanders and 8th in Dwars door Vlaanderen are all results which show that on his day he’s capable of competing with the best on the rough stuff. He’s hoping to ‘do a Blythe‘ in 2019, so will be looking for results big enough for the World Tour teams to sit up and notice. Max Stedman (Canyon dhb p/b Bloor Homes) is a young climber with UCI race wins to his name already. His teammate Dan Pearson is another climber we can expect to see on the results sheet; after dropping down a level after the demise of Aqua Blue he will have a point to prove. Two more names from the talent-packed Madison Genesis team (we could easily name more): Matt Holmes will be looking to put an injury-hit 18 months behind him to regain the form that saw him finish 5th overall in the 2017 Tour de Yorkshire; and Jon Mould is a UCI race winner and Commonwealth Games silver medallist. Say no more. Vitus Pro Cycling have riders in Mikey Mottram and Red Walters that have been plucked from elite teams after successful seasons on the domestic calendar. It will be fascinating if they can continue their progressions at the Continental level. And our journal writer Ed Laverack is another rider, like Alistair Slater, who has a chance to take on leadership opportunities with his new team, SwiftCarbon Pro Cycling, that he may not have had at JLT Condor. Finally, let’s not forget the riders that might well end up racing on the domestic scene but do not as yet have any publicly confirmed contracts for this season. These include James Shaw, Jon Dibben, Andy Fenn, Gabriel Cullaigh, Mark Christian, Mark McNally, James Gullen and Pete Williams. These are all riders to watch in their own right. Hopefully we’ll see them on the road again in 2019.